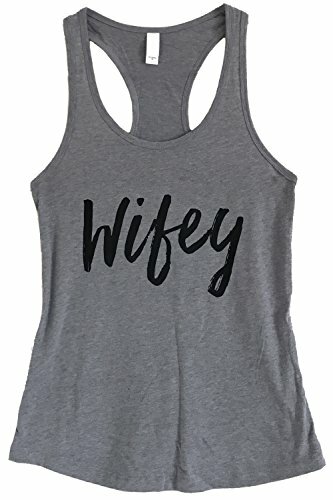 Wifey text print in black on a soft heather grey cotton/poly blend tank top. Sizing note: This tank may fit smaller than expected. See size chart below for sizing details. If you have any questions about this product by The Bold Banana, contact us by completing and submitting the form below. If you are looking for a specif part number, please include it with your message.